I went to Catholic High School, got the highest grades in my religion classes, but find the abrogation of materialism in any religion beyond comprehensible. I’ve been thinking about this a lot while writing an article about the recent spate of Noah stories, the weirdest of which is Darren Aronofsky’s film Noah (2014), featuring Russell Crowe as the ark builder, who befriends stony space aliens for some reason. In a way I didn’t think possible, Aronofsky moves the fanciful storytelling of the Bible’s Noah even further from direct human experience. Today, I want to talk about the opposite gesture, taking the allegorical story of Noah’s boat and floating it back down to the real Earth, placing it in a context deeply connected to real human problems. The greatest text in literature to do so is a medieval mystery play credited to the Wakefield Master, a 14th century English writer who stands out among the other authors of such plays for his hilarious Saturday Night Live sketches. His comic vignettes render the stories in the Bible both comically preposterous and yet, precisely because of their irreverence, devoutly spiritual. In his funniest play, Noah and His Sons, God comes to the patriarch to tell him to build an ark. Like a pathetic sitcom husband, Noah’s immediate response is comically to fear his wife’s angry reaction. Sure enough, when Noah returns home, his wife is hopping mad. Convinced that Noah has been out with his friends drinking, she complains that while he is off loafing, their family is starving to death: “While we sweat and swink, / Thou does just as thou think; / Yet of meat and of drink / Have we real skant” (32). Shockingly, given the dryness of the Noah chapters in the Book of Genesis, the Wakefield Master plays the scene for broad comedy: after the verbal insults cease, Noah and his wife resort to physical abuse. Noah hits his wife, she hits him right back, and comic mayhem ensues. But the Wakefield Master is not an apostate; as soon as the rain begins, Noah successfully saves his family and they celebrate God’s mercy. Precisely because of the coarse humanity of the first third of the play, the final third perfectly expresses spiritual transcendence. A ponderously beautiful independent film directed by Jeff Nichols, Take Shelter (2011) is a thriller version of the Wakefield Master’s comedy. Convinced that an apocalyptic storm is coming, Curtis (Michael Shannon) bankrupts his family in his seemingly mad quest to bury a survival shelter in his back yard. His suffering wife, Samantha (Jessica Chastain) and his daughter, perplexed and scared, nonetheless stick by his side. At the film’s end, after Curtis has been convinced he’s merely in need of a psychiatrist, the family takes a vacation to Myrtle Beach. While playing with his daughter in the sand, the two notice a huge storm off the coast; the sky turns black and the ocean is replete with angry waterspouts. A tsunami of Biblical proportions has in fact developed, just as Curtis has forewarned. What does this ending mean? Unlike either the Bible’s or the Wakefield Master’s successful Noah (they both save their family in the ark), Curtis is an ineffectual patriarch. When the storm finally comes, he has taken his family far away from his shelter, a subterranean Cold War relic that could not possibly allow them to survive anyway. Instead, the film is interested not in survival, but in the confirmation of its Noah’s vision. The last moment of the film has Curtis looking longingly at Samantha, seeking confirmation that the storm he is seeing is real, and not an artifact of his psychosis. When she anxiously nods yes, the film ends. Take Shelter’s horror film version of Noah’s story ends precisely where The Wakefield Master’s radical comic project veers back in the direction of devotion to the Bible. The medieval Noah may be a comedian in the first third of his play, but once God sends the storm, he gets down to business, and saves humanity. By the final third of the play, the Wakefield Master is devoutly celebrating the divinity of God, who so kindly decides to spare the humans. 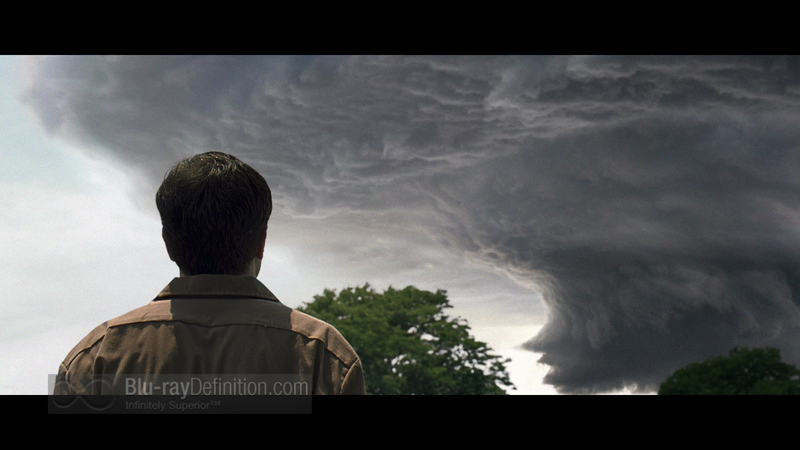 No such divine intervention, or genre reframing, characterizes Take Shelter. In an ecologically collapsing world, there is no God to save us, and humans seem the most unlikely to steer the environmental ship in a less deadly direction. The ambiguous ending of Take Shelter tells it like it is: without a wisp of the existence of God in the film, our merely human Noah cannot save us this time; as polar bears jump off the melting polar ice caps to their deaths at the hands of human greed, we are screwed.